Have you seen the Portlandia episode Put A Bird On It? Well, I am thinking that they need to do an updated version with birch trees - they could keep a few birds too. Since posting about the birch wallpaper that I am kind of in love with and since slightly obsessed over, I feel like I have been seeing birch motifs everywhere. I can't say that I mind though in fact I have a drawing of birch trees that a friend gave me (by request) that I really need to get framed, it is just so lovely. I love the towels by Fine Little Day and those straws need to come to my house. PS, if you are wondering, I happen to think that Portlandia is pretty accurate in its portrayal of this little city here in the northwest, maybe a bit exaggerated but not by much depending on what crowds you run with. I honestly don't watch the show that regularly because I feel like I live it every time I leave my house, and maybe I can see my-portlander-self in it a teeny-tiny bit too. The throw is so beautiful! My office at work is surrounded by 11 birch trees, so thank you for the beautiful inspiration! ooo, lucky you! i don't have many in my neighborhood but i used to love them when i was little. they are just so pretty. That clutch has my name on it even if I hate birds because of the movie. i know, it's so lovely, isn't it? wow! i definitely don't have that much patience at all. 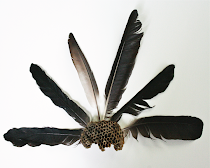 i love her blog, though every time i visit i get a little pang of envy. I want the blanket, the candle and the clutch too! Lovely finds, Christine! Hehe: put a birch on it. I actually tried watching Portlandia today. Sometimes I get it...sometimes. I do love your picks though! i agree. i like to catch an episode here or there but i can't do any marathons with it. sometimes it's just a little more weird than funny but when i do find it funny it's worth it. I do share your love for the birch. Lisa Cogdon has a birch painting that I just love and I know which birch wallpaper you're talking about - It's beautiful. Sadly, I haven't watched Portlandia. Though, if both you and Erin can vouch for the show, it must be good. it can be a little hit or miss. it is so portland sometimes it makes me love it maybe more than the non-portlander and maybe sometimes less ; ) but the good parts are really good, it's one of those shows for me. 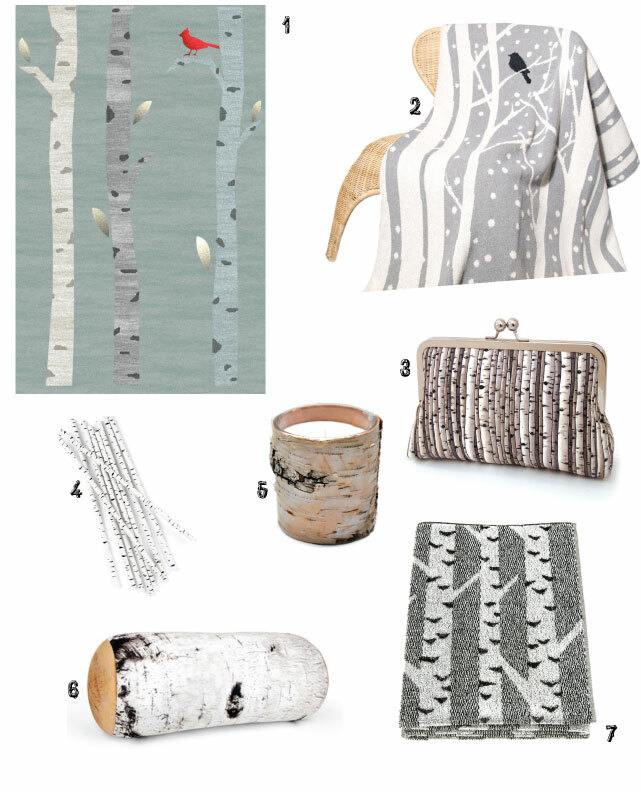 I love all things birch and would love to feel like I'm walking through the woods all day. Lovely picks Christine! I really love that beautiful blanket and the cute little purse! Oh dear - I love all of these, just can't pick a favourite! I do love birch trees and am fortunate enough to live near two silver birches, just beautiful all year around. Thanks so much for finding these!